5,900 SF renewable energy facility located at Rochelle Municipal Landfill #2 in Rochelle, IL. Ragnar Benson provided design/build services to construct this state-of-the-art 4.8 megawatt facility. Included a biological treatment system to clean the landfill gas and produce a beneficial usable byproduct. The byproduct is elemental sulfur which is used locally as a component of high grade fertilizer. This gas clean-up process lowers emissions and improves the overall performance of the facility. 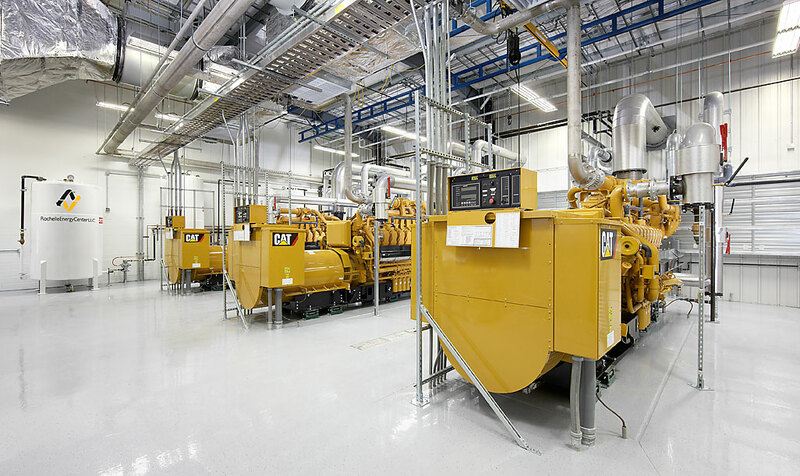 This energy center uses 3 Caterpillar G3520 reciprocating engine generator sets, each rated at 1.6 megawatts. The facility has the capacity to produce 42,000 megawatts / hour of electricity annually, which is enough energy to power 4,000 local homes.